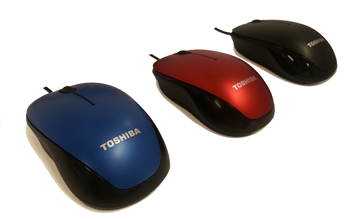 Great for everyday-use, the Toshiba U55 USB Optical Mouse with Blue LED technology is a compact sized mouse that works on difficult surfaces typically found in offices and hotels like wood or marble. Never have to scramble for a makeshift mouse pad again. 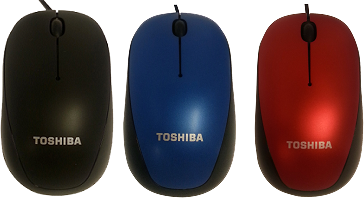 The USB Optical Mouse U55 comes with Blue LED Technology that offers improved tracking on more surfaces - even glass*!